This guide will show you how to generate a CSR code and install an SSL Certificate on LiteSpeed. It will also tell you a few interesting facts about LiteSpeed and reveal the best place where you can buy affordable SSL Certificates for your LiteSpeed server. 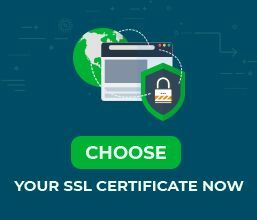 Where to buy the best SSL Certificate for LiteSpeed? To apply for an SSL Certificate, you must generate a CSR (Certificate Signing Request) code and send it to your CA for validation. The CSR contains your contact data in an encoded format. In this guide, we’ll use the OpenSSL utility to generate your CSR code. If you’ve never used it before, and aren’t comfortable entering command prompts, use the quick and easy CSR Generator tool instead. Along with your CSR code, you will also generate your private key. These two files from the certificate key pair and cannot be separated. Note: The word “server” is the name of your private key. You can give it any name you want, but make sure you keep the .key extension. Note: If you’ve used another name for your private key instead of “server” include it in the command. As for server.csr part, you can rename it, but make sure you keep the .csr extension. Country (C): provide the two-letter code of your country. For example, US. You can see the full list of country code here. That’s it! You’ve successfully generated your CSR code. It resides in the directory where you run the command. Locate and open the .csr file with any text editor of your choice such as Notepad. 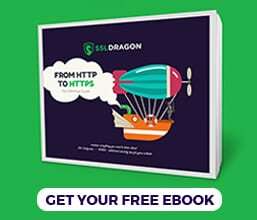 You will need to copy its content including the BEGIN and END tags and paste it during the SSL order with your SSL vendor. Your primary SSL certificate: this is the certificate issued specifically for your domain. You can find it in the ZIP folder, sent to you via email. Your intermediate certificate: this certificate, or sometimes certificates help browsers identify the issuing CA. Intermediate certificates are usually stored in the .ca-bundle file. You’ll have to extract it from the ZIP folder. Your Private Key: the private key is on your server, in the same directory where you generated the CSR request. If you didn’t generate the CSR on your server, you should have a copy of the private key in your email. Go back to your admin console and click Listeners and under the Listener Name column, select the name you’ve just given in the previous step. On the left pane, click Dashboard then click the Green Restart button to restart your server. Congratulations, you’ve successfully installed your certificate on LiteSpeed. After you install an SSL Certificate on LiteSpeed, you can check your configuration for potential errors or vulnerabilities. To do this efficiently, use one of these high-end SSL tools. Pick any tool from the linked article, and get instant scans and reports on your SSL Certificate. LiteSpeed is a web server software developed by LiteSpeed Technologies. The software is an Apache drop-in replacement, using the same configuration format as Apache. As a result, LiteSpeed is compatible with many Apache features such as mod_rewrite, .htaccess and mod_security. LiteSpeed Technologies was funded in 2002 by a George Wang. In 2003 the company released the first version of LiteSpeed Web Server. In 2007, LiteSpeed Web Server became LiteSpeed Web Server Enterprise and was configured to be an Apache drop-in replacement. In 2015, LiteSpeed Web Server integrated with cPanel, Plesk, and DirectAdmin. The latest stable release of LiteSpeed at the time of this article is LSWS 5.2.8. Enjoy the lowest prices on the market, and stellar customer support for any certificate you choose. And, if you’re struggling to find the perfect cert for your project, our SSL Wizard and Advanced Certificate Filter tools are ready to help you.